Escape the silly season and enjoy a night in with a pizza from your local Pizza Hut Gladstone store. Shop before December 14th, and you could win $10 000 in Gladstone’s Shop to Win Competition. Proudly locally owned and operated by Jackson Hartley and Emma Walsh, Pizza Hut Gladstone offers excellent pizza at even better prices. Available for pick up or home delivery, pizzas can be ordered online, in person, or over the phone. The traditional crust, deep pan or thin, Pizza Hut doesn’t just have a great range of bases and toppings, they also have delicious sides, drinks and desserts. Pizza Hut is the largest pizza chain in the world with more than 12 000 restaurants and delivery units operating around the world. 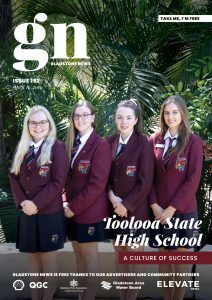 There are approximately 270 stores in Australia. Pizza Hut know how to do good pizza and reasonable prices! If you haven’t ordered from Pizza Hut for a while, now is a great time to check it out. Why not try the delicious new ‘Wing Street’ range? Available every day and discounted on $1 Wing Wednesdays you can choose your sauce, choose your wings and choose your size There is an excellent range of flavours; Smokey BBQ, honey soy, honey mustard, kickin’ bourbon, hot chilli and tandoori. These are available on either seasoned wings which are covered in delicious southern herbs & spices, traditional uncoated wings or spicy boneless wings. Available in packs of 6, 12 or 24 there is enough for a family of any size! Try 6 Hickory Brown Sugar seasoned wings or 24 Buffalo spicy boneless wings, the choice is yours! Win $10K eating wings has a beautiful ring to it don’t you think? 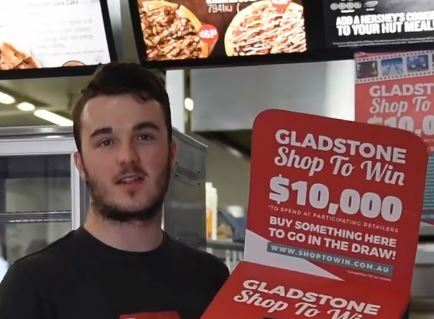 By spending just $1 in-store at Pizza Hut in Gladstone, you could win $10 000! That is A LOT of pizza and even more delicious wings! Next time you are looking to outsource lunch or dinner and pizza is on the menu, check out Pizza Hut Gladstone!